New About Us – Montrose Auction Inc. Welcome to Montrose Auction Inc.
Montrose Auction has positioned itself as Georgia’s leading auction house for firearms, edged weapons and sporting related items. With up to 12 auctions a year, selling nearly 4000 firearms, you can count on us to market your collection. Whether you have one gun or hundreds, knives or ammo, our experienced staff is ready to go to work for you, giving you professional and personalized customer service. 1) Public Firearms Auctions: Saturday auctions are held 3-4 times a year in March, July, and December, adding an auction in September as needed. Selling mostly firearms with the occasional sportsman related items. 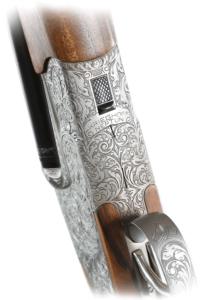 These auctions offer between 600 and 1000 firearms, and fill up an entire day of auctioneering. 2) Firearms & Accessories Auctions, held on Tuesday evening 8-12 times a year selling firearms, accessories and related items. These 400-600 lot auctions contain between 150 to 300 firearms. The other lots include: scopes, reloading, ammo, knives, military, magazines, advertising, store displays, mounts and just about anything sportsman related. These auctions have gained quite a following among local dealers. Estates services: Montrose Auction works closely with executors to evaluate estate items and prepare items for auction. An appointment is just a phone call away, consultations are free and confidential. Each year we work with many executors to help manage sportsman related property and convert these assets for division among heirs. Montrose Auction is licensed and insured, with over 40 years of experience. Let our professional staff put our success and experience to work for you. We handle all aspects concerning the auction, to include: transportation, sale preparation, advertising and proper transfer to licensed individuals. Don’t trust your firearms items to just any auction company, choose one that specializes in firearms, choose Montrose Auction Inc.
Marketing: If there’s one thing in business that’s constant, its change. Marketing in the 90s was easy, just put an ad in the local paper, maybe an extra ad in the regional or national trader magazines. Not so today. Marketing a specialized auction like firearms in today’s market, takes experience and staying on top of cutting edge trends. Montrose Auction uses many tactics to bring buyers and sellers together. Yes, trader magazines are important, but not the only game in town. Today, our marketing plans include: direct mail, website specific ads, print advertising, billboards, client phone calls, email, and more. The best advertising available is word of mouth. We do everything we can to please each and every customer, therefore seeing both repeat business and our story told again and again. If you have firearms and related items to sell, choose Montrose Auction to market your collection. We specialize in firearms! Montrose Auction buys single firearms up to large collections. Don’t wait, give us a call today to discuss consignment sales.